Robin Harris, well-known storage blogger has put up a nice piece about NOVA and it's potential role in systems equipped with non-volatile main memory technologies like Intel's 3D XPoint. You can read about it here. Thanks Robin! You can checkout NOVA on github: NOVA or read the paper. Before the popularity of big data infrastructure, the largest storage systems in the world were found almost exclusively within High Performance Computing (HPC) data centers. Although HPC storage systems are no longer the largest in terms of total capacity, they continue to address problems unique to simulation-based scientific inquiry. In this talk, Brad Settlemyer discusses why and how HPC storage systems differ from their commercial-world counterparts, how storage system research impacts the HPC data center, and the research and development efforts needed for HPC storage systems in the coming decade. Brad Settlemyer is a storage systems researcher and systems programmer specializing in high performance computing. 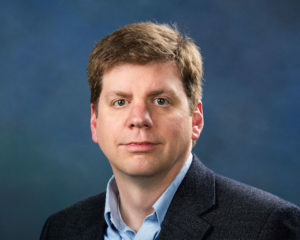 He received his Ph.D in computer engineering from Clemson University in 2009 and works as a research scientist in Los Alamos National Laboratory's HPC Design group. He has published papers on emerging storage systems, long distance data movement, network modeling, and storage system algorithms.